The following project aimed to develop a product that related to how older adults spend their time. I chose to examine the relationship and time spent between those with dementia and their loved ones. Using a technique called validation therapy, Tell Me explores color and play therapy to help loved ones better identify the patients emotions regardless if the patient is able to self identify their emotion. Relationships between those with dementia and their loved are often strained due to a lack of clear communication and a misunderstanding of the patient’s emotional needs. 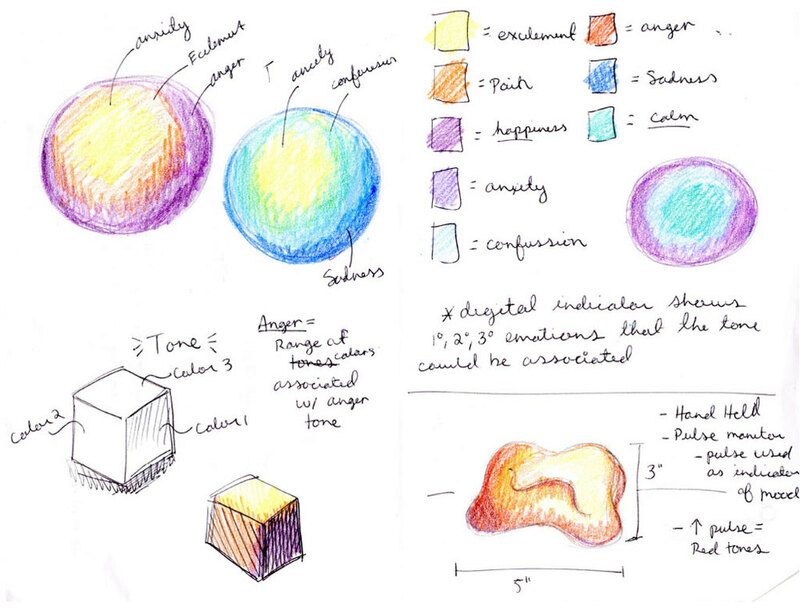 Colors induced by play and usage via embeded sensors would correspond to a possible emotion.